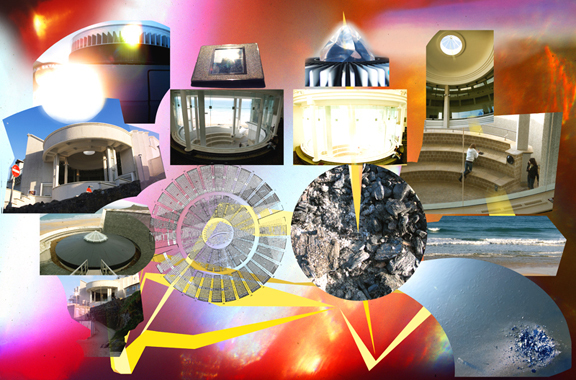 »Memory Theatre (A slide of a sun temple’s sacrificial altar, a modified skylight in the Loggia’s dome at Tate St Ives, an Extreme Proxigean Spring Tide, and the correct angle of the sun. )«, 2008 by Adam Chodzko. »M-path« is based on 300 pairs of second-hand shoes collected from the suburbs of a city, and then loaned to visitors to wear for viewing an exhibition. By Adam Chodzko.